Get professional Mercedes-Benz service for your vehicle at Holmes European Motors state of the art service facility serving Shreveport, Northwestern LA and all the way to Marshall TX. From routine maintenance’s to a diagnoses, our expert technicians will correctly identify your vehicle’s problem. The team will successfully repair your Mercedes-Benz vehicle as quickly as possible, getting you back on the roads Louisiana! Schedule your regular maintenance service with our on-line form. 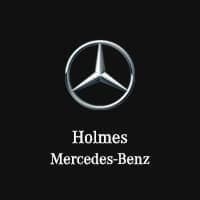 Holmes European Motors offers a complete inventory of Genuine Mercedes-Benz parts to repair your car, truck or SUV to keep your vehicle running at peak performance for many years to come. Lucky for you, Holmes European Motors is an Express Service dealership. We value our customers time, and that is why we offer Express Service. No Appointment is required! Go to our Express Service to learn more.